The article arrived as an E-mail from a colleague. 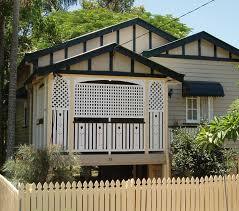 The report was clear: Architects support council in defending Robin Dods house in Brisbane from development. 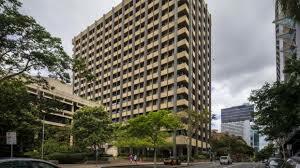 Which building was this? Who were these architects? What were they saving the Dods house from? Why? The reading of the article elaborated on all of these matters – see below. The house was located in New Farm, at 388 Bowen Terrace in New Farm, Brisbane. 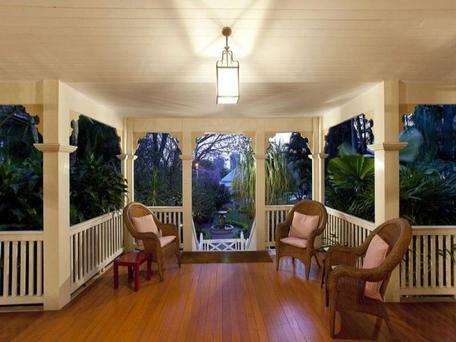 It was described as having been designed in 1907 by Robin Dods. The image accompanying the report illustrated a classic ‘Queenslander’ image – a verandah porch with a large, decorated gable located behind, partly concealed by mature shrubs and trees, bordered by a traditional, stylish white picket fence. 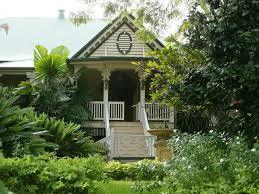 It was indeed an attractive appearance, revealing all of those quaint, homely heritage qualities seen in historic Queensland buildings. The difference here was the name – it was a ‘Dods’ design. 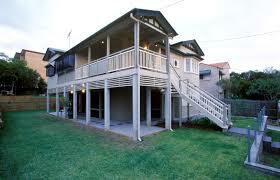 The Federation bungalow is located at 388 Bowen Terrace in the inner-Brisbane area of New Farm. 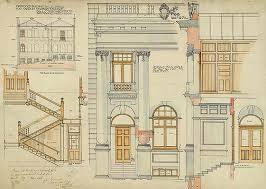 Dods (1868–1920) was a 20th century architect known mainly for his diverse body of work inspired by the British Arts and Crafts movement. 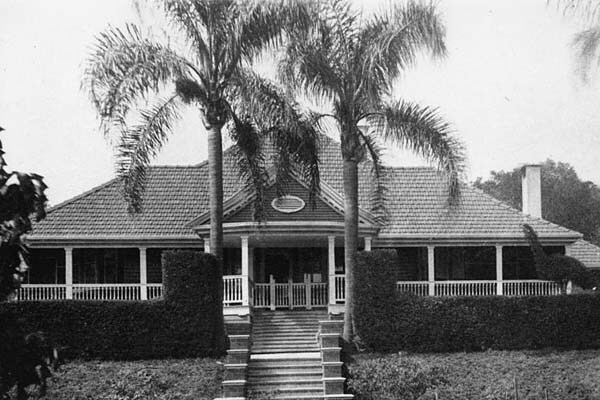 Dods designed houses, factories, hospitals and religious buildings across Australia. 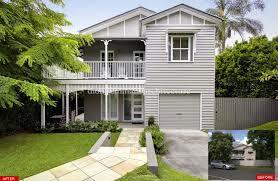 His early career included several homes in the New Farm and Clayfield areas of Brisbane. 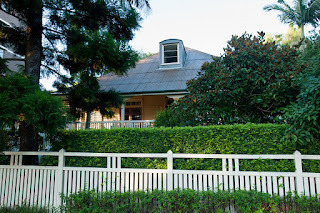 The Bowen Terrace house was occupied at one time by Edward Granville Theodore, known as “Red Ted” Theodore, a Depression-era politician who served as both premier of Queensland and as federal treasurer. 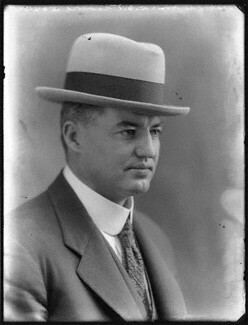 Robin Dods was an architect who designed many significant buildings in Brisbane and its regions. His work is iconic. 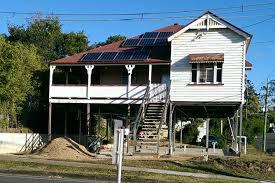 That the Brisbane City Council (BCC) has this house scheduled on its heritage list reveals its significance. Alas, this does not seem to be enough to stop developers hoping to change things. The article notes that the proposal is to move and raise the house on the site to allow space to construct three, three-storey townhouses. 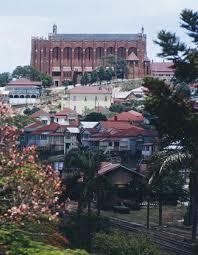 The BCC has refused the development application. Now the matter is to be appealed in the Planning and Environment Court. This is where the architects come in. Three are going to act as co-respondents in support of the Brisbane City Council. There have been forty objections lodged to this development application. While the University of Queensland is usually, sadly, silent on architectural matters, this time the professor of architectural history has lodged an objection. But just what does this statement say? 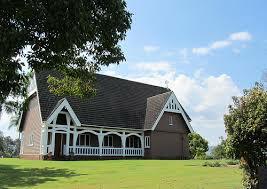 If there are to be arguments for heritage, then they should be clear and intelligible to all; simply explicable. The problem with previous public utterances from the university appears to be that they involve broad, esoteric understandings expressed in 'academic' jargon, ideas and words that elude ordinary experience and apprehension. Sometimes they manage to achieve the opposite of their intentions, such is the cynicism they engender: see - http://voussoirs.blogspot.com.au/2011/02/why-we-need-universities.html This professorial objection seems certain enough, but what is the precise meaning of: outstanding architectural merit on an international comparison? 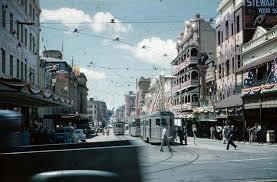 What is trying to be said in the words: highly characteristic of Brisbane and a touchstone of civic identity? The last sentence is equally abstractly general in its summing up: more than compromise these significances . 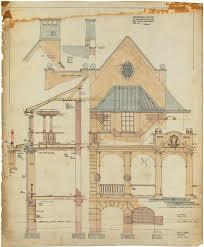 . . make a nonsense of any claim we might have to understand our built heritage. Just what does all of this refer to? What might it entail? What precisely is the objection? There is something wholesome in this statement, something worthy of attention, but what is it beyond schematic ‘motherhood’ notions - universal statements? On heritage matters in particular, one has to say that there needs to be some communal enterprise in this interest for it to achieve broad recognition and respect; and support. Day after day we see old buildings being demolished or removed for developments. Objections carry no sway in their quality or number. 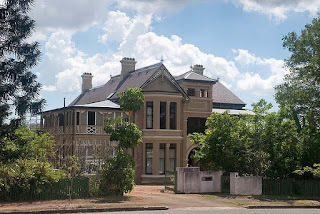 In spite of BCC's regulations that seek to protect pre-1946 buildings in order to maintain the ‘special character’ of Brisbane, (if only), even these everyday old structures get demolished time and time again. There always appears to be an excuse to allow them to disappear. BCC planners seem to be skilled in offering reasons for every decision they make, whatever these might be. 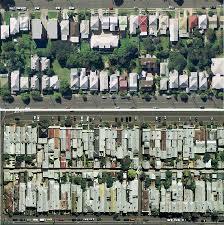 The planners make the rules as conditions for development, and they approve and police them. They are powerful. If the conditions of approval that they might impose are ignored, then it is up to the planners to act – if they so choose. Frequently non-compliance is ignored. Correspondence noting any divergent outcomes can just get neglected. Occasionally one is given a lecture on why everything is satisfactory when it clearly is not. It has been known for documents to just disappear in Council's hands! One wonders: do developers have someone on the inside working for them? Gleneagles twin towers - Curro, Nutter, Charlton, Architects. 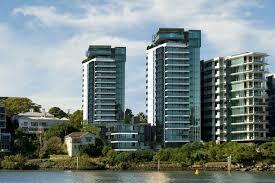 Award-winning landmark towers for a landmark enterprise: inner-city aged housing. 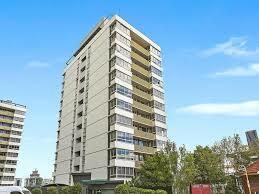 'Third' tower development on Gleneagles original site, Aquila - private, luxury apartments. So it is that Council's stand of this ‘Dods’ development application is strange; certainly unusual. What might the developers think? 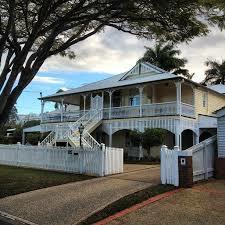 Just down the road from this house, in Moray Street, is another iconic Brisbane development – Gleneagles. 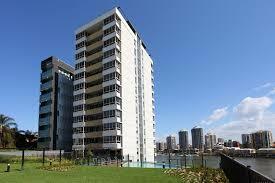 This is a 1960's high-rise, twin-tower development that was designed to provide inner-city accommodation for the aged. This development was on Council's heritage register too. 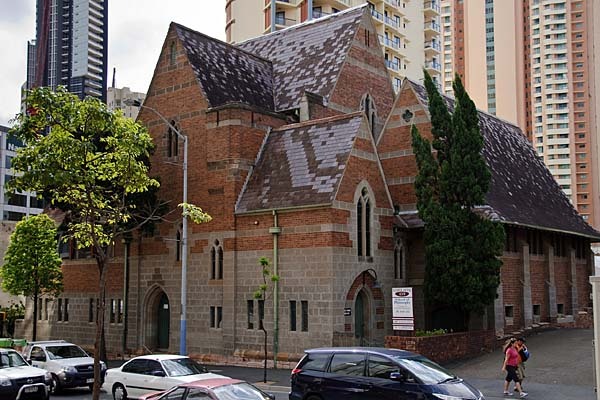 When this site came up for development some years ago, Council was in favour of this proposal in spite of numerous objections and the heritage listing. A new third tower was constructed beside the two existing ones, changing their presence; and plans were lodged to refurbish and remodel the existing structures, to change their purpose. Where was the university then? Where were the architects at this time? The aged folk living in Gleneagles, (then owned by The Church of Christ), were left by themselves to argue with the developer’s barristers for their rights. 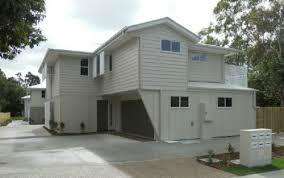 The developer had promised them every care and attention prior to the sale; but things changed. If there is to be a protest on developing heritage-listed sites, then there has to be some rigour, some uniformity, some logicality in the protest, or else one approval will weaken the other argument for refusal. 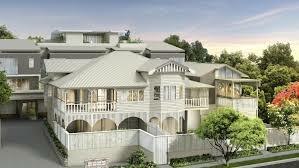 The proposed revamped, heritage-listed Gleneagles, complete with new penthouses and 'third' tower. 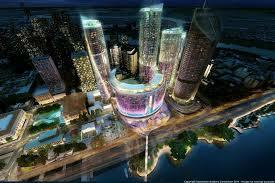 The scheme shows the twin towers turned into single-floor luxury apartments. The original project had four modest one-bedroom units for the aged per floor. The 'third' tower has been constructed. 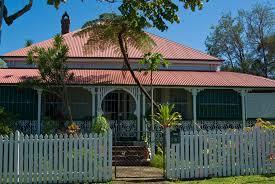 If Brisbane heritage is to be maintained and respected, then there has to be a broad and consistent approach. 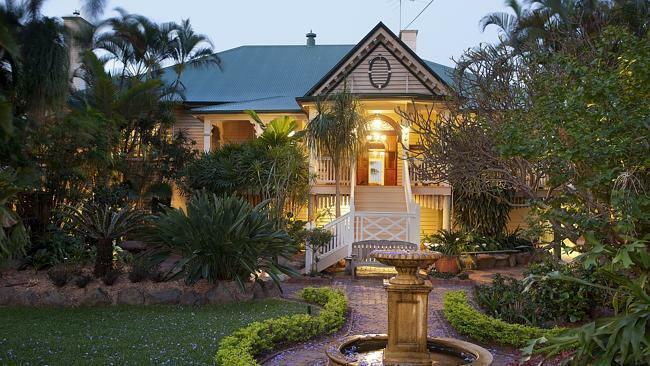 When buildings on the heritage lists cannot be protected, then what chance is there for the older homes and structures of the city, the ‘everyday’ buildings that give Brisbane its special civic character? Unique words and protests for a known architect’s house seem too specific; too selective; too narrow a protest. Dare one say too elitist? 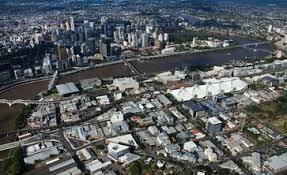 If Brisbane’s heritage is to be relevant, then there must be rigour in its overview and control, in all aspects of planning, not just with one or two selected ‘special’ projects. A city is bigger than one place. This commitment must be applied to all development: but there has to be a plan to be implemented prior to anything happening. Without a precise and predictable, enforceable set of rules intelligible to all - rules that have defined outcomes - everything is left willy-nilly, to the optional choice of the planners and their cunning spin. A place develops an attitude towards development through the manner in which plans are formulated and implemented. That the BCC seems so flexible on planning, (and heritage), matters leaves one exasperated, frustrated, when it suddenly chooses to make a stand. Why does it not make stands more frequently on many developments, both great and small? Well, this was asked. The answer was that the BCC would apparently prefer to ‘negotiate’ and maintain ‘control’ of the outcome rather than allowing the matters to go to court to be decided by an individual unskilled in planning matters. Is this why our city is such a shambles? 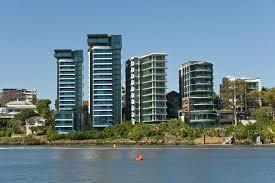 One wonders if there could be any worse outcomes than Council-negotiated approvals? How many of these are there? Past experience shows how difficult it is to get Council to listen, let alone act on any particular issue. One development can be recalled where the local Councillor organised and encouraged the objections, to no avail: the planners and the developer got what they wanted, complete with a list of seemingly fanciful conditions. Being told that documents that had been both hand-delivered and E-mailed, (as a back-up), to the BCC did just not exist in its files, with no one caring beyond this response, or even with it, seems to suggest there are serious problems in the BCC: a certain carelessness. Is it just too ‘flexible’? Why might a developer even think it could be acceptable to develop a property that is on the heritage list? Does previous experience show that this is not only acceptable, but also possible? : consider Gleneagles! Council’s notes in its files from this period seem to show that the development application for this project, a document over 75mm thick, was being processed prior to public advertisement. Had it already been approved in private discussion? 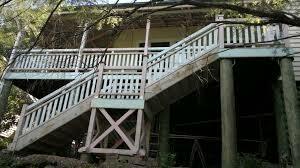 So what should happen to the Dods house? Well, it should be left alone. 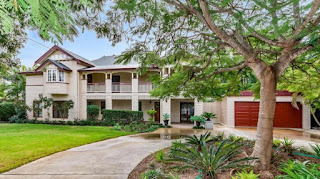 Council’s response makes the best statement: “The proposed development,” said the decision notice, “would unacceptably impact on the setting of the heritage place and significantly diminish its heritage values.” The notice also said that the project “does not sufficiently protect the garden setting and overall status of the house as a fine example of a residence designed by R.S. Dods.” The Council argues for the context, but is fuzzy on what ‘heritage place’ and ‘heritage values’ might mean. Just spruiking the words does not establish any particular quality or core position. It is a shame that the BCC cares so little about other city contexts. 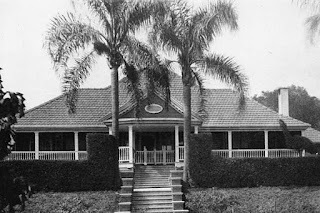 One architect notes further that “The detail treatment proposed for ‘Fenton’ is unrelated to its distinguished architectural pedigree and treats the house like a generic Queenslander of the early 20th century.” Now this seems to be problematical. 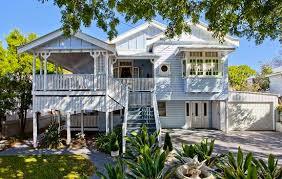 Why, might anyone wonder, should this old Queenslander be treated any differently to those everywhere else, the ‘generics’? 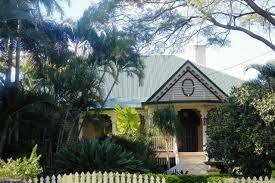 Is it acceptable, satisfactory to mangle other ‘ordinary Queenslanders’? 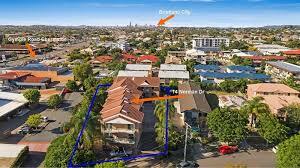 That there are many examples in Brisbane where houses are moved, raised, and developed with additional townhouses all to Council’s approval, in spite of numerous objections every time, only creates expectations that the same can happen here, with the Dods house on Bowen Terrace. And why not? 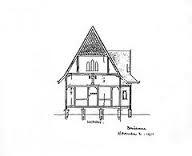 Heritage is much more complex than saving one old building. 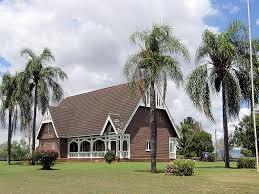 Is it sufficient to say that this is a Dods house and the others are not? Here one gets into a strange argument, one of preference and prestige. If heritage is to be respected, then it must be done equitably, with a commitment that does not devalue matters ordinary, because the ordinary is the heritage, the character-forming fabric of this sub-tropical city. 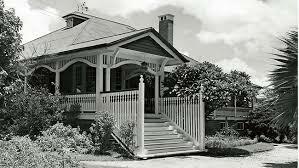 One house does not make a city or give it its character: a single, saved example just becomes an historical relic if left alone in a sea of random development. Once a selective strategy becomes the approach to the management of heritage matters, then one gets into the debate about values and significance. 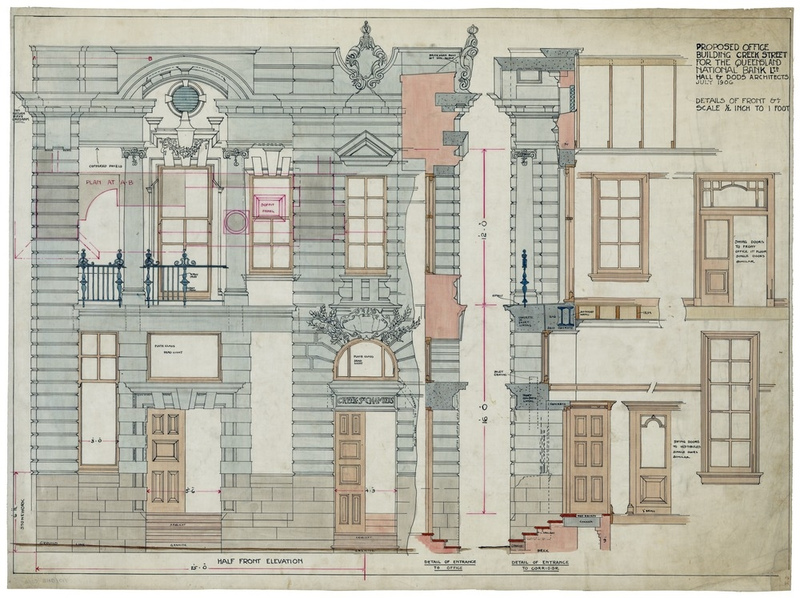 If all heritage is respected, cared for, and handled with a judicious subtlety, then the circumstance might be created where the thought of developing this Dods house property would never even be contemplated. Now that the case has to go to court, Council will find itself arguing for historical and aesthetic matters on a legal basis. This becomes difficult, as quantity is used to assess quality; logic to debate feelings and emotions. There are always architects who will have a differing opinion. 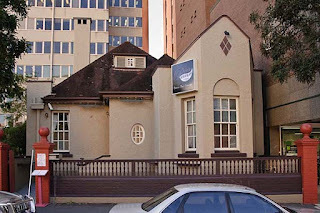 Indeed, some so-called ‘heritage’ architects have become so disenchanted with heritage ‘failures’ in the city that they now run businesses specialising in the de-listing of heritage buildings. Even those they might once have fought to get on the list are not immune from their apparent vindictiveness! If Brisbane is to truly care for its old buildings, its past, its character, its history, then Council needs to implement a broad and committed approach with rigour and consistency. It cannot allow ad hoc development to be approved willy-nilly, as negotiated outcomes when it sees fit or otherwise, and ignore objections, because this only creates an expectation and a precedent for developers to adopt and use. Why should a developer not believe that the matter can be ‘agreed upon’ through analytical discussion and debate when it appears that this strategy is being used every day? 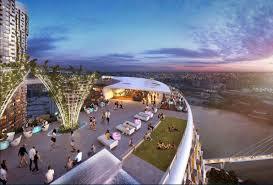 Proposed new casino in the heart of Brisbane. 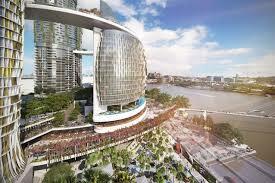 The casino is to be located in the central government precinct on river frontage. and http://voussoirs.blogspot.com.au/2015/09/brisbanes-new-casino-proposal-approved.html These schemes make heritage matters merely quirky architectural games objected to by specialists, academics and ‘cranks’ who might take objection only to things close to their unique, personal interest and understanding rather than for the good of the city and its people. Why do some proposals get ignored? Ad hoc actions and selective decisions to object, as this stance appears to be, make a mockery of any position that seeks to protect our civic heritage. It is not only the BCC that needs to act with rigour in this regard, but also the State and Federal Governments. If these bodies remain so careless, so flexible with heritage issues, then why should the proverbial ‘man-in-the-street’ care? There needs to be change, now! 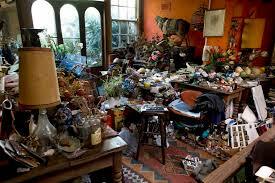 One hopes that the court of appeal can see the value in the Dods house. 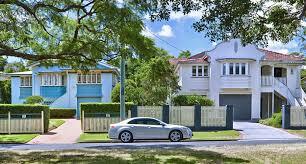 The danger is that there are so many examples of the ‘generic’ developer’s approach being implemented on a daily basis in a variety of old suburbs, heritage-listed or not, pre-1946 or not, that the proposal might easily be seen as the norm. That the arguments for keeping the place intact need to counter this everyday expectation makes it an up-hill battle: that arguments might get as broadly general, generic, as loose and universal as those made by the university professor, only adds to this difficulty, when the matter should be a black-and-white – NO! with clear and specific, carefully articulated, rational, irrefutable reasons. 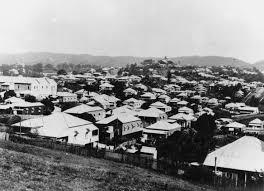 Council must blame itself if it fails, because it has given in and approved so much that shatters ordinary heritage and place now, with a stance that leaves Brisbane without any clear, enforceable plan that can achieve a predictable outcome. It is a matter that becomes obvious when the city is experienced today. The city is close to becoming a shambles, a place that has lost direction and coherence. Quality needs cause, commitment and cogency to be maintained. Just too frequently our planning relies on words that are vulnerable to spin, multiple interpretations: ‘alternative facts.’ When planners do not even have the tools to check simple areas that are listed on schematic drawings, figures that are a critical part of development applications, defined to the last, compliant square millimetre, what hope is there? Taking the details presented to them as gospel is a poor start when developers are so shrewd and wily. Fingers crossed – let’s hope the Dods house overcomes Council’s past sloppiness and survives for future generations to experience in its original context: it has to. The difficulty is that even context is now an undermined argument. Margaret Olley’s house/studio interiors have been relocated from her beloved Sydney garden context to be plonked into the art gallery at Murwillumbah as a core exhibit: as if this transformation might have no impact on anything! 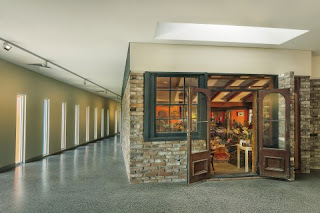 - see http://voussoirs.blogspot.com.au/2013/01/bacons-sacrambled-studio-francis.html Its ‘replacement’ does make a critical difference! 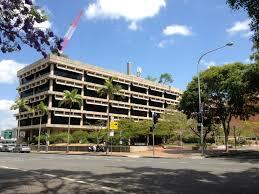 Even Council knows this – well the Brisbane City Council seems to in the Dods development case. 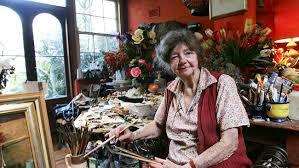 Margaret Olley's relocated 'faux' studio Tweed Regional Gallery is treated as a relic. What has also to be remembered is that approvals that come with conditions, no matter how many there might be or what they are, are useless. Conditions have become the way to devalue, to control, to overcome all objections, and justify Council’s actions to approve whatever. The idea appears the be that a collation of any conditions can be fabricated to manage anything: but Council never seems interested in fully implementing these. The approach is only a way of trying to avoid criticism, of letting Council give the developer a ‘negotiated’ outcome that will silence all critics and let the development proceed into a perpetual silence in which Council too fades away to live another day, for yet another negotiation. Planning has to be better than this random resolution of one project after another: it needs principles, and needs to stick to them. We must always remember that our heritage is much more than a uniquely specialist, academic matter. 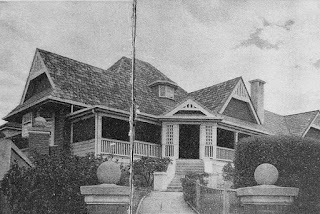 Three architects are voluntarily acting as co-respondents in a pending Planning and Environment Court appeal that will see Brisbane City Council defend its decision not to permit a developer to partially demolish and relocate a Robin Dods-designed home built in 1907 for the purpose of constructing three three-storey townhouses. The architects who are acting as objectors to the proposal and co-respondents in support of Brisbane City Council are architect and writer Louise Noble, architect and architectural historian Don Watson and Dr Rob Riddel, Conrad Gargett principal and author of Robin Dods: Selected Works, an exhaustive examination of Dod’s career that was produced after four decades of research. 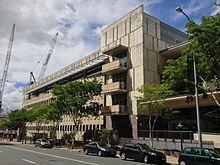 Watson has previously advocated for the preservation of heritage buildings in Brisbane, including Brisbane’s brutalist state government buildings. In 2016 Alloa Properties submitted a planning application that would see the house, currently separated from the street by a generous garden, moved forward to reduce the setback from 25 metres to 6 metres, freeing up space at the rear of the 1,292-square-metre property for three 11.3 metre-high, three-storey townhouses. The proposal also involved raising the house and developing the space underneath it. 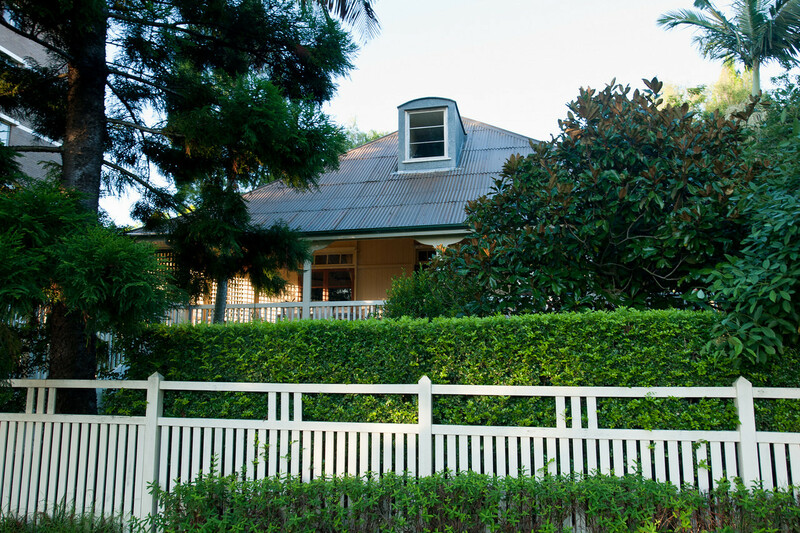 The property is listed on the Brisbane Heritage Register, which summarizes the heritage value of the “fine timber Federation-era residence” as reflecting “features that distinguished Dods’ domestic work. 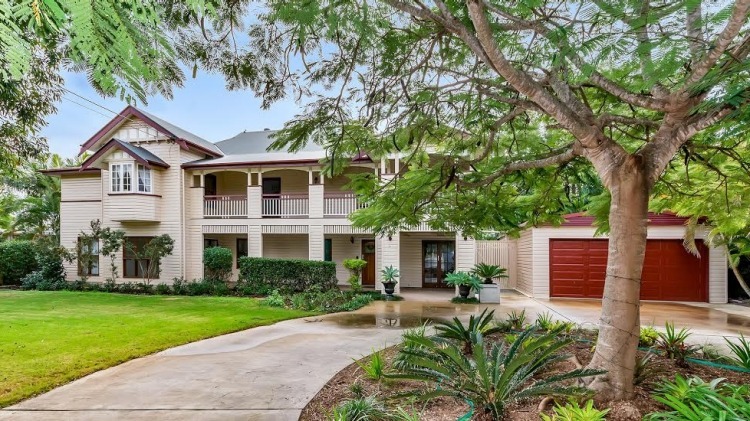 These include the steeply-pitched roof which overhangs large verandahs and the well-crafted timberwork.” It also highlights the property’s “attractive garden setting,” which would be removed under the developer’s plan. Later that month the owners of the property lodged a notice of appeal against the decision with the Planning and Environmental Court, protesting the decision and asking that development of the property be allowed to proceed. A review of the case is scheduled for 19 April, according to court documentation. Dods own house next door to this residence has been replaced with a block of units.